What have you always wanted to know about social media but were afraid to ask? Register for Breakfast and Blogs, a very social session with Elaine to find out. Start off your New Year with real social media sizzle. Thurs., Jan 13 — 9:30 a.m.– 12:00 p.m., $10 at La Madeleine Preston Forest. I’m really not sure how many people do this sort of thing, but I am actually going back to my predictions for 2010 – to compare them to what really happened. It was as daunting and perplexing a task as I imagined. Especially since social media evolution is anything but linear. One thing we do know it that Google Wave never quite hit the beach. So, I guess we’ll begin with the end – #5. 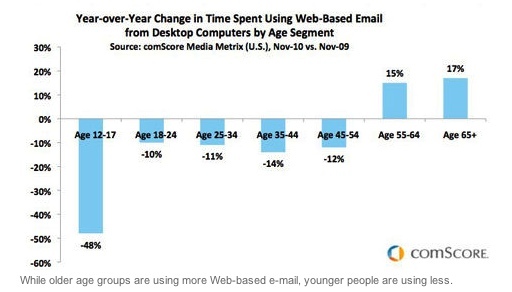 Well, as Chris Brogan said, email did not go away in 2010. But, I venture to add this was probably just slightly premature. With Facebook’s Messaging Hub beginning to bubble up and mobile technology/SMS infiltrating our lives in terms of behavior, I think we are looking at more of an email mutation than elimination. When Facebook COO Sheryl Sandberg made her prediction that email is “probably going away” at the Nielsen Consumer 360, many balked, but her point about teenagers is well-taken. Stats she cited indicate that only 11% of teens email daily, and as we know, teenagers are really “the beta testers” for future techno-media trends. In fact, I have my own focus group right here in my own home. My 18-year-old would rather text than talk. He has Facebook up on his laptop whenever it’s turned on, sends very few emails and never uses the speaking function on the phone. My 14-year-old son is really text only. Good thing I have unlimited texting, or I we would be under a bridge somewhere. He never opens up email or even Facebook. Should Mark be worried? Hmm. We’ll just wait and see. The most interesting shift between late 2009 and late 2010 is that the questions people are asking have changed dramatically. People don’t seem to be asking, “Hey, what’s the next big thing?” “What’s the next Twitter?” It’s more about implementation and impact – “What’s the most effective platform for my business?” “How do I integrate this into my daily operations?” “Where’s the best ROI?” It’s no longer “oh wow!” It’s “so, how?” Social media tools and behaviors are now a given, our modus operandi. We just need to figure out how to do it. The old advertising model of trading money for attention is the anachronism. The new formula is trading time (even energy) for attention. The activity is just as important as the message. I’d still like my term – “return on engagement.” It’s more active, deliberate and participatory. However, I think our trajectory has been very different from what I expected — largely due to the meteoric growth of Facebook. Engagement is now defined by the quality of the experience itself, rather than some tangible outcome. The value I spoke of last year was a slippery concept, because “value” can now be defined in brave, new terms, as well. Who knew Farmville and Mafia Wars would become the new American pastimes? Who could have predicted you can actually buy Facebook points in the grocery store? And the metric that “one-third of women 18-34 check Facebook when they first wake up in the morning,” according to an Oxygen Media study? Enterprise platforms continue to exist, but boy was I wrong on this one. I did not see the mobile app locomotive, powered by Apple, flying down the track. I think the branded in-house community concept has quite literally jumped the rails. And, to think, I was once so on board with that idea. Simply, there is an app for that – in fact, what many signify as the emergence of Web 3.0 – targeted, segmented, defined and delivered to the user on demand. So, interesting how things can change in a year. Still, we may be moving in this direction yet. Fast Society, a new iPhone app, allows the user to create small groups to text with on the fly, and the groups last for three days. Facebook is also providing ways to communicate with smaller networks. Facebook’s new Groups Feature allows segments friends into personal, professional and interest-based communities to better manage privacy. Watch for more of these smaller, closed networks to launch in 2011 as people seek deeper connections online. I think I get the winning buzzer for this one. Organizations of all sizes are embracing the value of fully integrated multi-channel strategies. Using social media channels alone for marketing, customer service or fundraising will not be as effective as designing coordinated campaigns and communication strategies that include traditional communication techniques. This includes email, website, online ads, SEO, face-to-face interactions, print advertising, social media platforms, blogs, events, and managed promotion to all media. This has become pivotal to social media success in general. Integrate and align with overall objectives. It’s a must. There is no more compelling spokesperson for an enterprise or organization a passionate customer, employee, or supporter. This is the core strength of word-of-mouth advertising and peer-to-peer fundraising. And there is a range of scenarios—from a class agent soliciting annual fund gifts for his or her school, to a customer making a recommendation for a new restaurant on YELP! The brand voice is now filtered through the customer in his or her own geographic and psycho-graphic universe. As we look to 2011, we can’t deny or ignore the brand power of Facebook “likes,” which will become the core advertising and promotional objective for many businesses on Facebook. “Like” strategies will become increasingly sophisticated and integrated into the overall marketing strategy. For instance, instead of doing A/B testing between two photos to see which generates more Facebook “Likes,” the savvier brands and agencies will be leveraging technology that can simultaneously deploy 10,000+ ad variations to yield the lowest CPA (cost per acquisition) of those “Likes.” The art and the science. Finally, there’s mobile and SMS. The app has arrived and has consolidated the expansiveness, chaos and clutter of the worldwide web to the simplicity and focus of a tiny button the size of a stamp that fits in the palm of your hand. . . . Oh, wow! 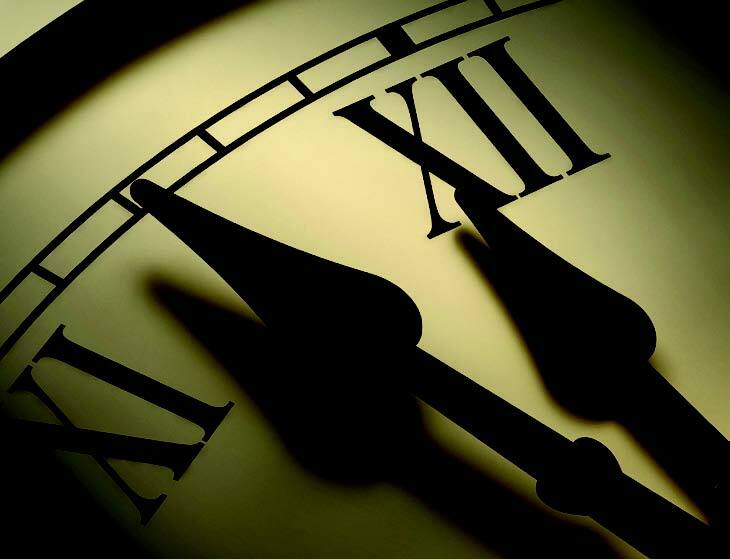 What are your predictions for 2011, infinity . . .and beyond? Previous Post What’s to Like About Facebook Business Pages?